From workshops, blogs, conferences, journals, to teaching statements for job applications, sharing one’s teaching philosophy and strategies with other teachers is common practice among academics. And yet, how often do academics explicitly share their teaching philosophy with their own students? Or even invite students to collaborate in developing a shared educational framework for their own course in a given term? I believe that there are many reasons—some practical, others ethical—why teachers should be pedagogically transparent with their students. I share these reasons below along with some ways in which I am pedagogically transparent in my own teaching. First, discussing with students how you conceptualize your own pedagogy can be a way to set the tone at the start of a term. After all, this involves explicitly telling and showing students what kind of a teacher you are and what they can expect from you in the course. More importantly, however, thinking through pedagogy with students can help to develop your classroom environment and even create a sense of classroom community. For example, I often begin a term by asking students to read excerpts of Paulo Freire’s Pedagogy of the Oppressed, a text which informs how I think about my own teaching. In discussing Freire’s work, I ask students to reflect on what was successful about past courses that they enjoyed or learned a lot in. This serves to open a conversation about how we should understand the roles of teachers and students and how we should structure our own classroom. My students usually concur with Freire in rejecting what he terms the “banking concept” of education where teachers are understood as top-down authority figures in charge of “depositing” information into students conceived as passive recipients. Instead, we generally reach the consensus that the best and most liberating form of education is one where students and teachers alike actively participate in and jointly create the classroom. Reading Freire with my students is my way of not only making it clear that I expect a high degree of in-class participation but also showing my students why their co-authorship of the course is so vital to everyone’s learning (myself included). 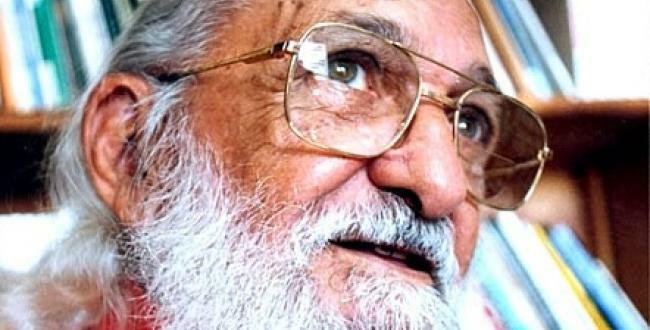 Paulo Freire with his transparent spectacles. A second reason to be pedagogically transparent with students is that it ultimately facilitates student metacognition about their own learning processes. For instance, I explain to my students the benefits and reasons behind the various in-class activities that I assign, such as freewriting, peer review, oral presentations, and group discussions. I also ask to students to reflect on what they found useful about these activities afterwards and why. When expressing their learning experiences to the class, my students often articulate the exact features that I hoped they would find meaningful and helpful about these activities. Such explicit higher-order reflection on one’s own learning processes is especially valuable for students who have not previously encountered these sorts of student-centered activities in their past education. It may also encourage or motivate students to apply such learning strategies on their own, for instance, by freewriting or asking fellow students to look at drafts when crafting their essays. Another way I work to enhance student metacognition is by writing the learning goals for lessons on the board and by including them on assignment handouts along with clear instructions and rubrics. One might also choose to collaboratively create learning goals with student for a course or for specific units. Making the reasoning behind lessons, assignments, and activities clear and transparent to all enables students to take charge of their own learning according to how the course is designed. A third and final reason in favor of pedagogical transparency is that it treats students with respect as citizens of the classroom who can endorse (or challenge) the very terms in which their course is structured. John Rawls’ notion of publicity states that principles of justice governing a political society should, among other things, provide accessible standards to all. A classroom is, of course, not exactly a political society, but consider that at the end of the day, teachers nonetheless exercise institutionally ensconced authority over students by administering grades or having the capacity to enforce university policies. Additionally, the syllabus along with the course policies detailed on it can be interpreted, in at least some respect, as a contract (a social contract?) that one is making with students. Because the terms and structure of a course govern how the educational lives of students go, they should be knowable by all and be able to stand up to public scrutiny. So, for example, I share with my students the justifications for adopting certain course policies and often link web addresses in my syllabi to provide evidence for why various policies are conducive to learning. Other possible ways to publicize justifications for course policies might include citing studies that support the type of grading system you use or that demonstrate how technology distracts from learning if you generally prohibit the use of phones or computers in class. I have generally found that the more open I am with why I have designed a course with certain policies in place, the more buy-in I have from students since they are then able to find the policies acceptable according to their own lights. Because I see students as active collaborators in the construction of the classroom, I try as much as possible to give students a voice in how our courses are structured. For instance, I may ask students to vote on certain topics or readings to cover. I also conduct surveys at the beginning, middle, and end of the term to solicit student feedback and frequently change how classes and assignments are structured during the term in response to student comments. Surveys are also another means by which to learn more about your students and their lives, which may ultimately help you to better adapt to their individual learning needs. For example, surveys are a chance to ask students about their preferred name in class, their pronouns, the languages they are comfortable using, whether they parent or work, their academic interests and skills, their past educational experience whether formal or informal, and so on. Often students share with me context about their lives in the privacy of a survey that I would have not likely learned otherwise. In the end, making your pedagogy transparent and publicly accessible to everyone respects students as knowers (and not simply learners) in the classroom who should be empowered to take charge of their own education and the terms in which it is structured. For educators who have generously taken the time to read this blog post, I am curious to know how you implement (or would implement) pedagogical transparency in your own teaching. Is there a particular text, experience, or activity that reflects who you are as a teacher and could be a starting point for crafting a lesson that shares your own pedagogical thinking with your students? Transparency in the comments is as appreciated as transparency in pedagogy.